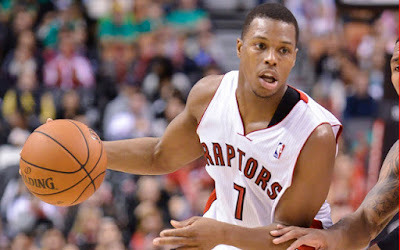 Kyle Lowry - Toronto Raptors (Fanduel: 8400 Draftkings: 8400) takes on the Brooklyn Nets with an Over/Under of 223 and a line of -15. They rank 29 against Point guards this year and 27 last year. He averages 38.3 fantasy points per game this year. Kemba Walker - Charlotte Hornets (Fanduel: 8000 Draftkings: 8000) takes on the Los Angeles Lakers with an Over/Under of 213.5 and a line of -9. They rank 24 against Point guards this year and 29 last year. He averages 36.3 fantasy points per game this year. Tim Frazier - New Orleans Pelicans (Fanduel: 5700 Draftkings: 5600) takes on the Philadelphia 76ers with an Over/Under of 208.5 and a line of -3.5. They rank 18 against Point guards this year and 21 last year. He averages 27.1 fantasy points per game this year. This year, he has scored 6 times his salary 30 percent of the time and 5 times his salary 37 percent of the time. Jeff Teague - Indiana Pacers (Fanduel: 7300 Draftkings: 6900) takes on the New York Knicks with an Over/Under of 212.5 and a line of 5.5. They rank 11 against Point guards this year and 20 last year. He averages 33.0 fantasy points per game this year. Over his last 3 games, he has scored 44.3 fantasy points per game. His minutes have increased by 11 percent over the last 3 games. DeMar DeRozan - Toronto Raptors (Fanduel: 8600 Draftkings: 8500) takes on the Brooklyn Nets with an Over/Under of 223 and a line of -15. They rank 27 against Shooting guards this year and 25 last year. He averages 40.7 fantasy points per game this year. C.J. McCollum - Portland Trail blazers (Fanduel: 7300 Draftkings: 7000) takes on the Sacramento Kings with an Over/Under of 213 and a line of 1. They rank 20 against Shooting guards this year and 29 last year. He averages 33.0 fantasy points per game this year. This year, he has scored 6 times his salary 21 percent of the time and 5 times his salary 28 percent of the time. Nicolas Batum - Charlotte Hornets (Fanduel: 7200 Draftkings: 7500) takes on the Los Angeles Lakers with an Over/Under of 213.5 and a line of -9. They rank 28 against Shooting guards this year and 30 last year. He averages 31.8 fantasy points per game this year. Over his last 3 games, he has scored 36.0 fantasy points per game. Lou Williams - Los Angeles Lakers (Fanduel: 5700 Draftkings: 5900) takes on the Charlotte Hornets with an Over/Under of 213.5 and a line of 9. They rank 17 against Shooting guards this year and 10 last year. He averages 27.7 fantasy points per game this year. This year, he has scored 6 times his salary 21 percent of the time and 5 times his salary 41 percent of the time. Rodney Hood - Utah Jazz (Fanduel: 5200 Draftkings: 5400) takes on the Golden State Warriors with an Over/Under of 209.5 and a line of 11.5. They rank 23 against Shooting guards this year and 11 last year. He averages 24.3 fantasy points per game this year. This year, he has scored 6 times his salary 22 percent of the time and 5 times his salary 43 percent of the time. Terrence Jones - New Orleans Pelicans (Fanduel: 4700 Draftkings: 4400) takes on the Philadelphia 76ers with an Over/Under of 208.5 and a line of -3.5. They rank 9 against Power forwards this year and 29 last year. He averages 21.9 fantasy points per game this year. Over his last 3 games, he has scored 25.1 fantasy points per game. This year, he has scored 6 times his salary 26 percent of the time and 5 times his salary 37 percent of the time. Anthony Davis - New Orleans Pelicans (Fanduel: 11500 Draftkings: 11700) takes on the Philadelphia 76ers with an Over/Under of 208.5 and a line of -3.5. They rank 9 against Power forwards this year and 29 last year. He averages 51.4 fantasy points per game this year. LaMarcus Aldridge - San Antonio Spurs (Fanduel: 6500 Draftkings: 6800) takes on the Houston Rockets with an Over/Under of 213.5 and a line of 1. They rank 10 against Power forwards this year and 28 last year. He averages 29.2 fantasy points per game this year. This year, he has scored 6 times his salary 17 percent of the time and 5 times his salary 35 percent of the time. Last year, he scored six times his salary 24 percent of the time and 5 times his salary 46 percent of the time. Patrick Patterson - Toronto Raptors (Fanduel: 4200 Draftkings: 4200) takes on the Brooklyn Nets with an Over/Under of 223 and a line of -15. They rank 28 against Power forwards this year and 23 last year. He averages 19.1 fantasy points per game this year. Kawhi Leonard - San Antonio Spurs (Fanduel: 8400 Draftkings: 8600) takes on the Houston Rockets with an Over/Under of 213.5 and a line of 1. They rank 20 against Small forwards this year and 29 last year. He averages 39.2 fantasy points per game this year. LeBron James - Cleveland Cavaliers (Fanduel: 10400 Draftkings: 9600) takes on the Milwaukee Bucks with an Over/Under of 211 and a line of -4. They rank 26 against Small forwards this year and 28 last year. He averages 48.4 fantasy points per game this year. Over his last 3 games, he has scored 56.3 fantasy points per game. Michael Kidd-Gilchrist - Charlotte Hornets (Fanduel: 4600 Draftkings: 4400) takes on the Los Angeles Lakers with an Over/Under of 213.5 and a line of -9. They rank 30 against Small forwards this year and 30 last year. He averages 21.1 fantasy points per game this year. This year, he has scored 6 times his salary 23 percent of the time and 5 times his salary 42 percent of the time. Last year, he scored six times his salary 29 percent of the time and 5 times his salary 43 percent of the time. Justise Winslow - Miami Heat (Fanduel: 4700 Draftkings: 5000) takes on the Orlando Magic with an Over/Under of 198.5 and a line of -2.5. They rank 19 against Small forwards this year and 16 last year. He averages 23.5 fantasy points per game this year. This year, he has scored 6 times his salary 25 percent of the time and 5 times his salary 42 percent of the time. Maurice Harkless - Portland Trail blazers (Fanduel: 4800 Draftkings: 4900) takes on the Sacramento Kings with an Over/Under of 213 and a line of 1. They rank 18 against Small forwards this year and 20 last year. He averages 22.4 fantasy points per game this year. This year, he has scored 6 times his salary 29 percent of the time and 5 times his salary 57 percent of the time. Jonas Valanciunas - Toronto Raptors (Fanduel: 5500 Draftkings: 5800) takes on the Brooklyn Nets with an Over/Under of 223 and a line of -15. They rank 30 against Centers this year and 25 last year. He averages 26.0 fantasy points per game this year. Over his last 3 games, he has scored 29.8 fantasy points per game. This year, he has scored 6 times his salary 24 percent of the time and 5 times his salary 44 percent of the time. Last year, he scored six times his salary 20 percent of the time and 5 times his salary 54 percent of the time. Hassan Whiteside - Miami Heat (Fanduel: 9000 Draftkings: 8700) takes on the Orlando Magic with an Over/Under of 198.5 and a line of -2.5. They rank 22 against Centers this year and 24 last year. He averages 9.9 percent more Home, 44.7 fantasy points compared to 40.7 fantasy points for the year.Over his last 3 games, he has scored 46.4 fantasy points per game. DeMarcus Cousins - Sacramento Kings (Fanduel: 11200 Draftkings: 11200) takes on the Portland Trail blazers with an Over/Under of 213 and a line of -1. They rank 23 against Centers this year and 29 last year. He averages 48.4 fantasy points per game this year. Tristan Thompson - Cleveland Cavaliers (Fanduel: 4800 Draftkings: 4900) takes on the Milwaukee Bucks with an Over/Under of 211 and a line of -4. They rank 13 against Centers this year and 17 last year. He averages 11.4 percent more Away, 25.1 fantasy points compared to 22.5 fantasy points for the year.This year, he has scored 6 times his salary 25 percent of the time and 5 times his salary 46 percent of the time. Last year, he scored six times his salary 20 percent of the time and 5 times his salary 40 percent of the time. Cody Zeller - Charlotte Hornets (Fanduel: 5100 Draftkings: 4900) takes on the Los Angeles Lakers with an Over/Under of 213.5 and a line of -9. They rank 25 against Centers this year and 27 last year. He averages 22.6 fantasy points per game this year. Over his last 3 games, he has scored 26.0 fantasy points per game. His minutes have increased by 21 percent over the last 3 games. This year, he has scored 6 times his salary 17 percent of the time and 5 times his salary 29 percent of the time.